Update 1 of 2 - A week in Texas between the Edwards Plateau and the Lower Rio Grande Valley. Last updated: 8/8/2007. 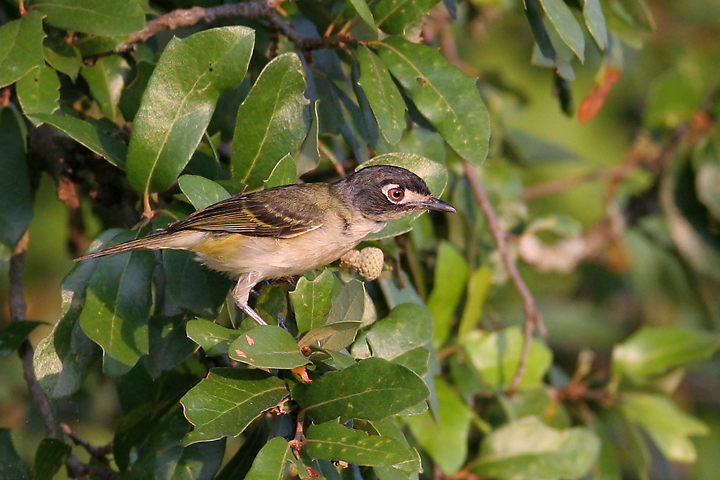 Above and below: A gorgeous Black-capped Vireo foraging in the Balcones Canyonlands, Texas (8/1/2007). This endangered species breeds only on the Edwards Plateau of Texas, and is very specialized in its habitat requirements. Unfortunately, it is quickly losing its breeding habitat to development. 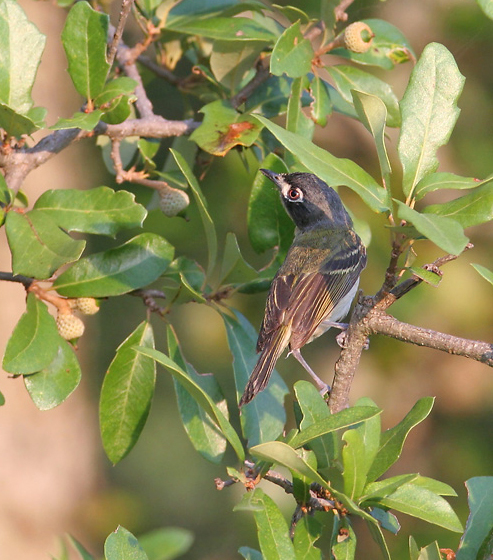 An optimistic population estimate is around 8,000 birds. 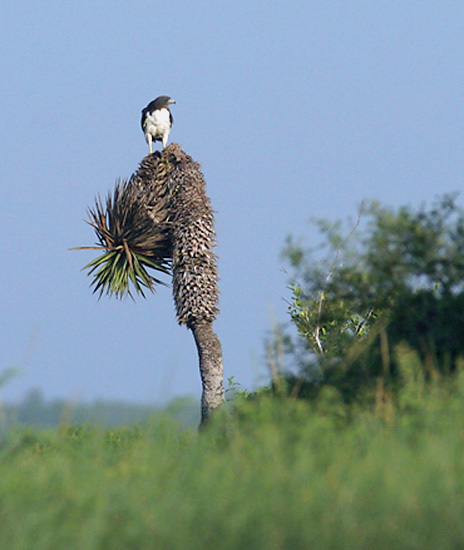 Cowbird control and habitat preservation are the key to its long-term success. 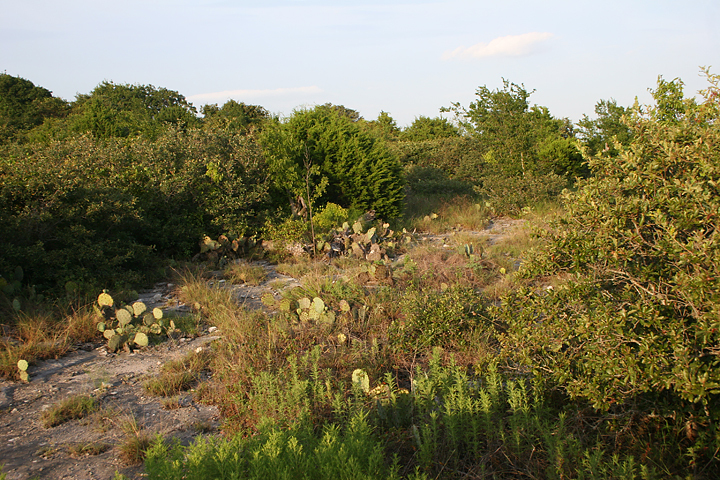 Below: Black-capped Vireo habitat in the Balcones Canyonlands, Texas (8/1/2007). 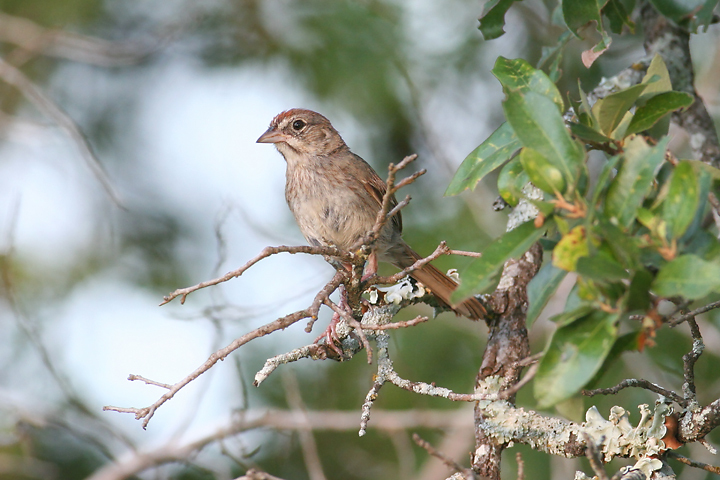 Below: An immature Rufous-crowned Sparrow in the Balcones Canyonlands, Texas (8/1/2007). 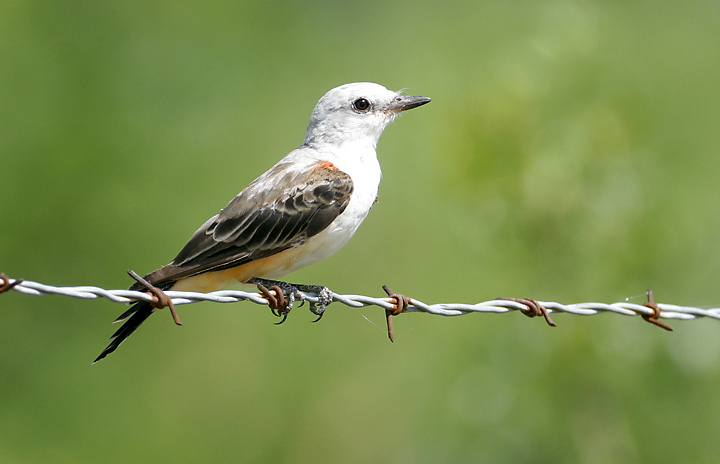 Below: A molting Scissor-tailed Flycatcher south of Killeen, Texas (7/31/2007). 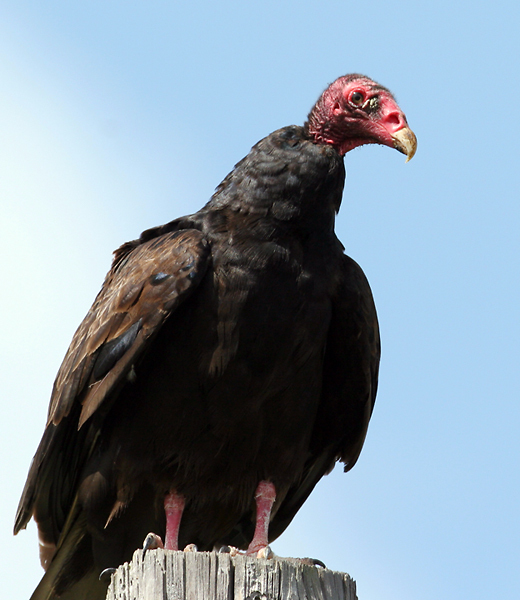 Below: A Turkey Vulture rests in the midday heat south of Killeen, Texas (7/31/2007). 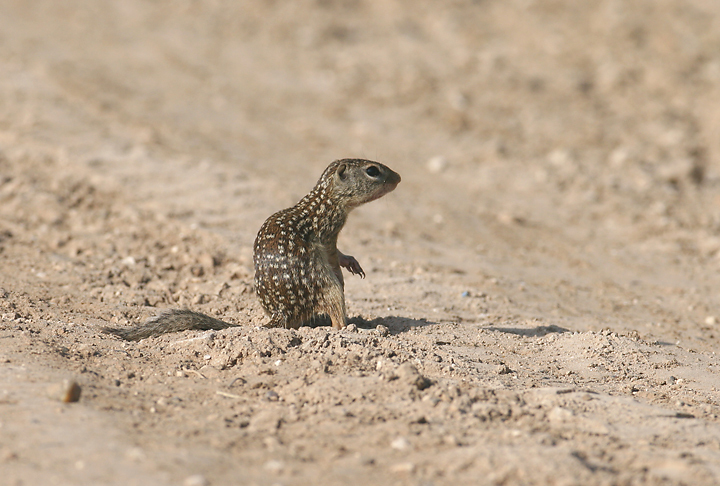 Below: A Mexican Ground-Squirrel north of Brownsville, Texas (8/4/2007). 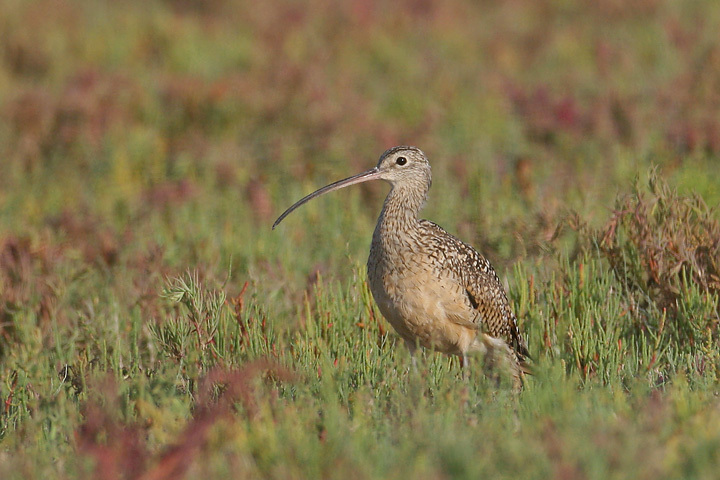 Below: A Long-billed Curlew at dawn north of Brownsville, Texas (8/4/2007). 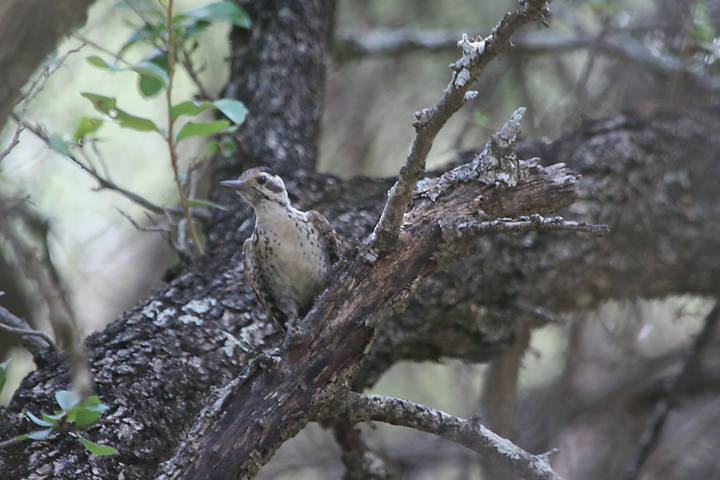 Below: A Ladder-backed Woodpecker in Balcones Canyonlands, Texas (7/31/2007). 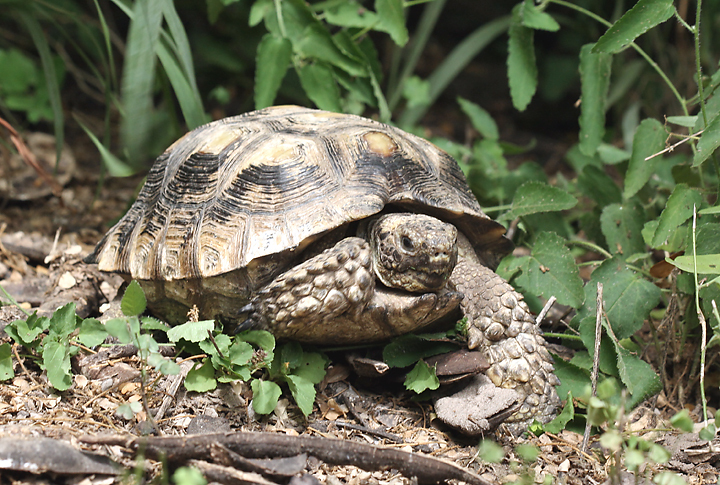 Below: A Texas Tortoise was one of our highlights in the Lower Rio Grande Valley (8/4/2007). 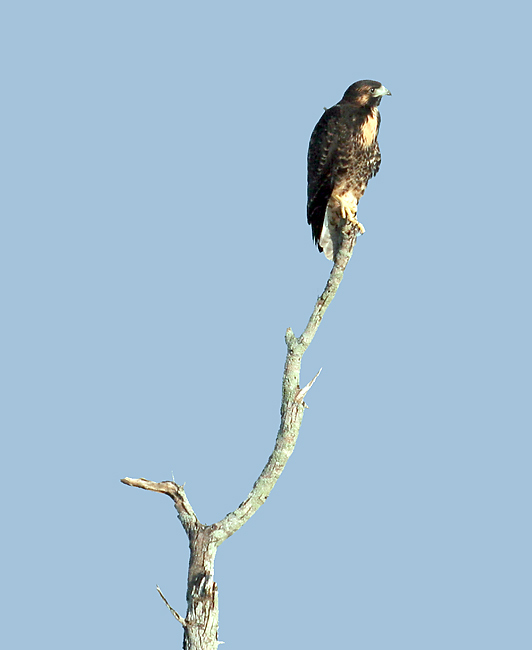 Below: An immature White-tailed Hawk north of Brownsville, Texas (8/4/2007). Below: An adult White-tailed Hawk spotted in the distance (8/4/2007). 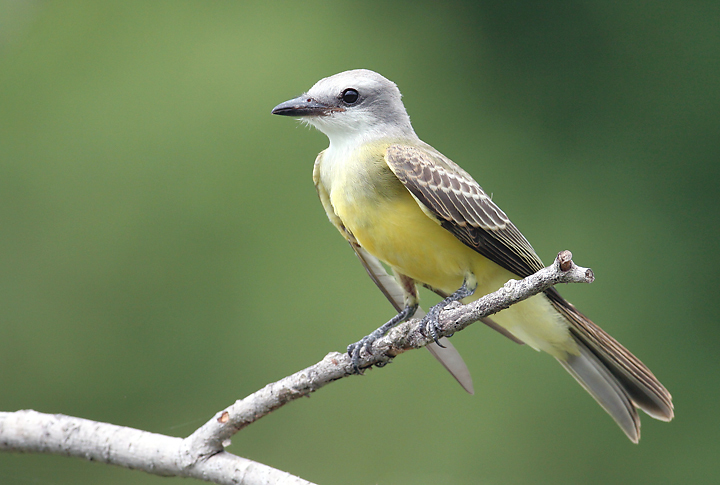 Below: An immature Couch's Kingbird at Sabal Palms Grove, Texas (8/4/2007). 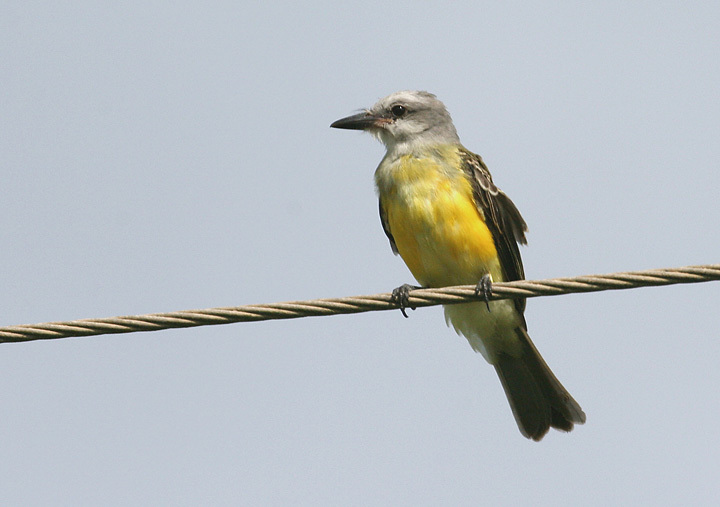 Below: A molting Tropical Kingbird in an open area north of Brownsville, Texas (8/4/2007). 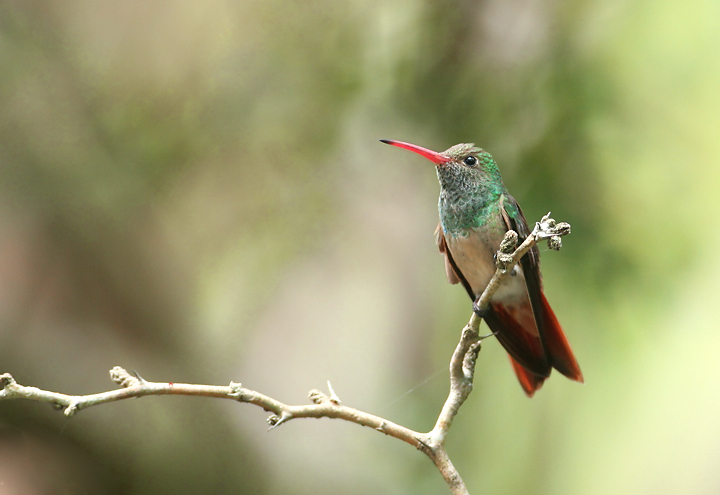 Below: A Buff-bellied Hummingbird rests between feeder visits at Sabal Palms Grove, Texas (8/4/2007). 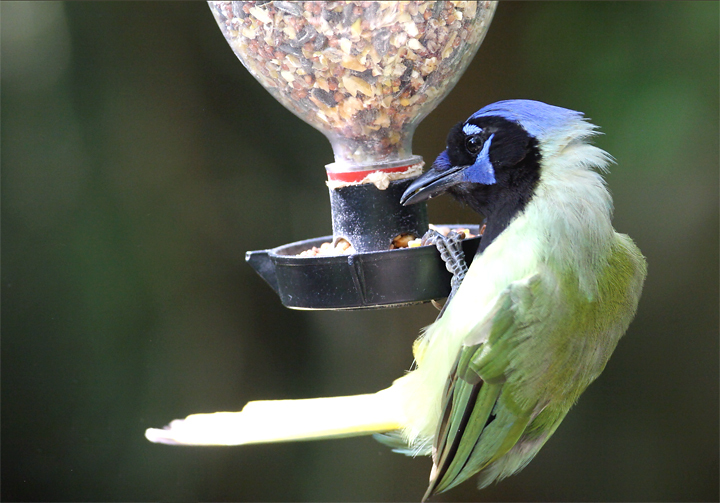 Below: A Green Jay raids the feeders at Sabal Palms Grove, Texas (8/4/2007). 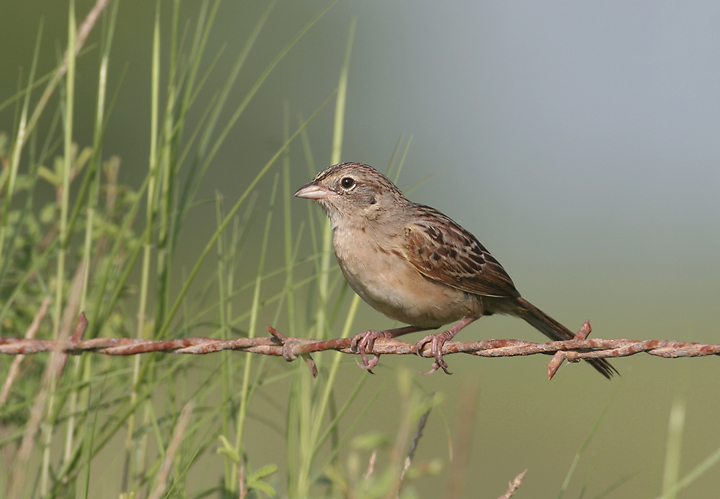 Below: A cooperative Cassin's Sparrow poses on a backroad north of Brownsville, Texas (8/4/2007). 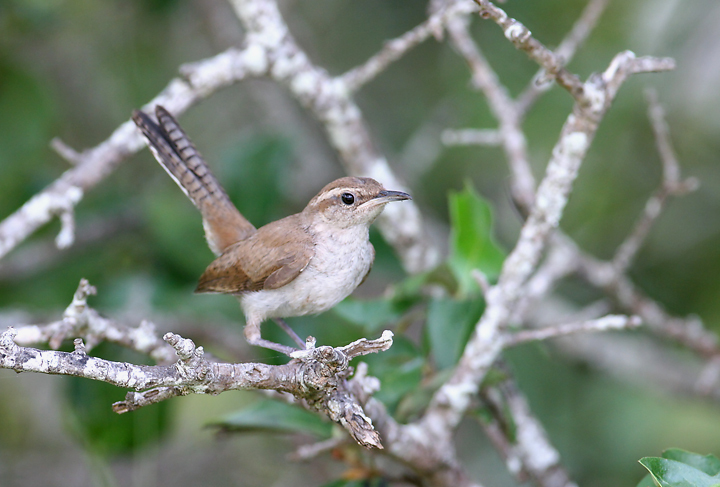 Below: A Bewick's Wren investigates strange pishing noises - south of Killeen, Texas (7/31/2007). 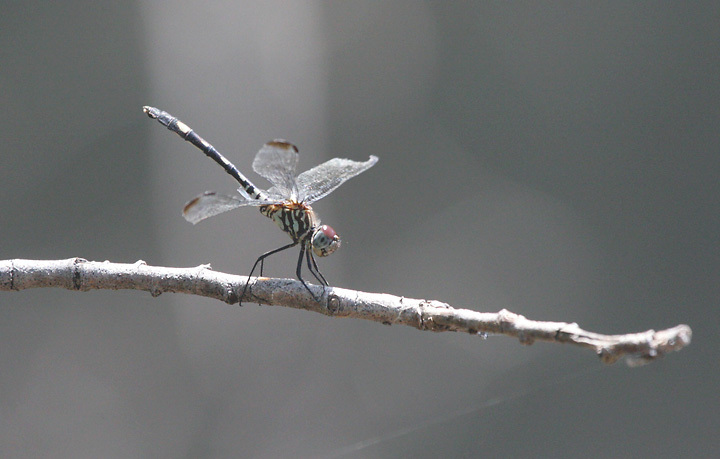 Below: A Swift Setwing rests between sallying forth to catch tiny insects - south of Killeen, Texas (7/31/2007). 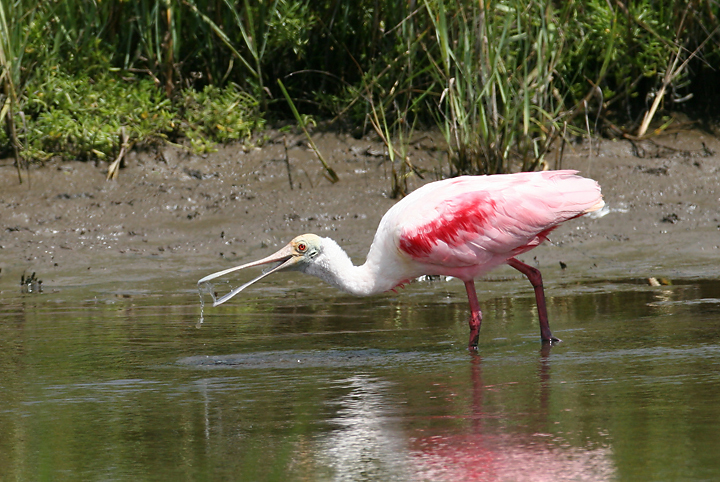 Below: An adult Roseate Spoonbill foraging in the shallows of Laguna Madre, South Padre Island, Texas (8/4/2007).